Only very few Facebook users are aware that they can stream or watch LIVE football matches on Facebook conveniently with their smartphones or PC consuming less than 300MB per match because it’s not in HD. In this guide, you will learn how this is done. Football is undoubtedly the most popular sports in the world so there are millions of fans from different countries supporting one team or the other. Because most of us can’t go to the stadium to watch matches live because of the distance or other reason, we result to watching football games from our TV screens but what about watching with your smartphone? I’m sure it’s more convenient that way. Facebook, in the other hand is worlds most popular social media platform where people connect with each others, share ideas, share photos and lots more but Mark Zuckerberg is gradually delving into the video niche to compete with Google’s YouTube. 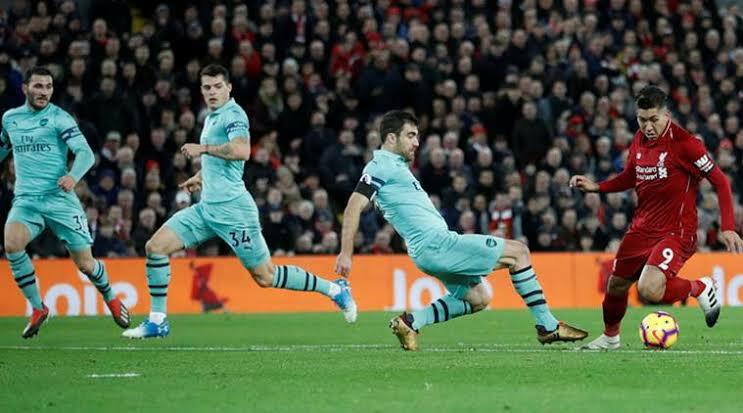 So by offering LIVE football streaming service, Facebook has just scored another amazing point to come closer to YouTube as long as video media is concerned. Streaming matches on Facebook will serve as a good alternative to other LIVE streaming apps like moko live stream, mobdro, Startimes app and the rest. So How Can You Watch Live Football Matches On Facebook? 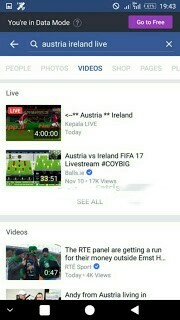 Go to the Facebook search tab and add “Live” to any ongoing match and the live videos will come up from the search result. For example, search; “Tottenham Arsenal live”. From there, you will be able to stream the current match going on at that point as long as you have a decent data network connection. I hope you enjoy this new and amazing Facebook feature.